The school’s scholarship fund, whose primary source is the Georgia GOAL tax credit program. Enter our preferred school number (9000-9076-2) when shopping for uniforms on the Lands’ End website. You’ll be confident you’re getting approved uniform items, and St. Luke School benefits! Contact the school office for your free Publix Partners card. Show it every time you shop and St. Luke School benefits! Sign up for your Target Red Card here. 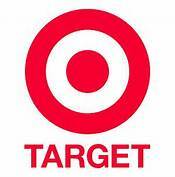 Use it every time you shop at Target – you’ll save 5% and St. Luke School will receive a portion of your purchase!